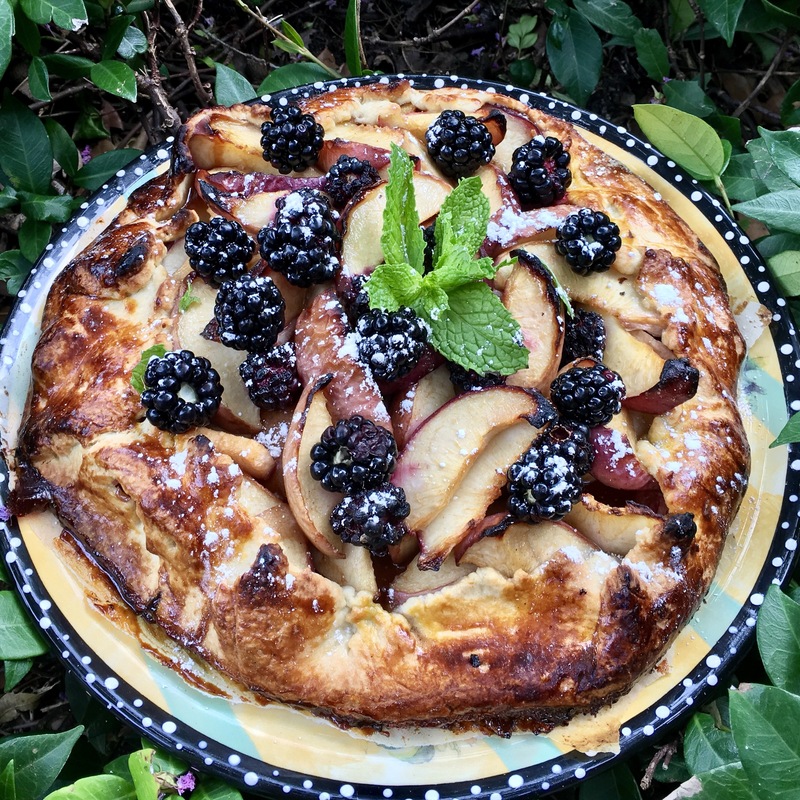 When summer fruit is in season and fragrant, it’s time to make a lovely dessert. I smelled these white peaches as soon as I approached the produce section and knew they would pair beautifully with the delicious blackberries. They make for a beautiful union and lovely presentation! I served this with a heaping spoonful of whipped cream, but vanilla ice cream would be just perfect as well.